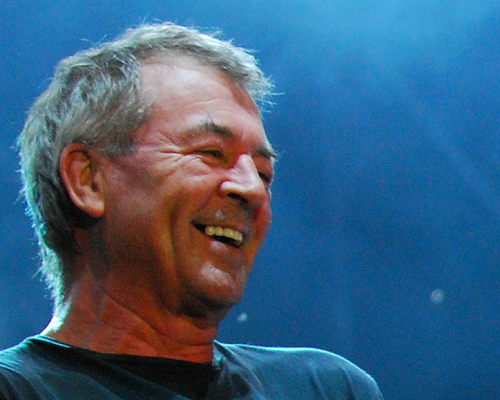 At a press conference in Yerevan yesterday, March 27, Ian Gillan said that his performances with the Armenian Philharmonic Orchestra will be released on DVD which will be available internationally. He praised orchestra’s professionalism and added that he considers Armenia his “spiritual motherland”. The proceeds from both shows as well as from the sales of the DVD will go to the reconstruction of Gyumri music school. On March 27th Big Ian and Rock Aid Armenia project initiator Jon Dee met with the President of Armenia Serzh Sargsyan who expressed gratitude for all their assistance to the country since 1988. Thanks to News.am and BraveWords for the info. Posted by Nick Soveiko on Sunday, March 28th, 2010, filed under News. You can follow comment on this post through the RSS 2.0 feed. You can leave a comment below, or trackback from your own site. Did anybody at the press conf. ask Gillan about the new DP album? hehe, Armanian reporter said that, Deep Purple’s two members, Ian Gillan and John Dee were hosted by president Sargsyan. he loves both, and he loves every country he visits. DO NOT be a fascist.